131 / Ricky letting me use his car. Mine car had to go in the shop last week & Ricky drove his loud, beat up, did I say LOUD? truck & let me drive his comfy little car. What a sweetie. ... add on to that - thankful we have extra vehicles when something like this happens. 135 / My daddy picking me up. When my car went to the shop, Ricky had to meet someone across town so my daddy to the rescue to pick me up & drive me home. I just LOVE my pastor's preaching & love when he writes new books. 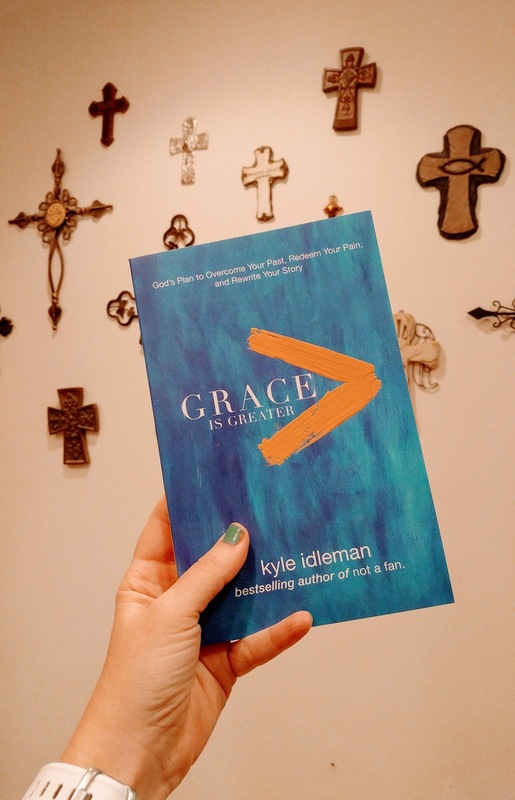 So when Kyle Idleman put out a new book, I jumped on it & pre-purchased it. & then found one delivered to my door before it was released & I was on the launch team to preview it. So needless to say, when it comes out & the book I ordered gets delivered - I totally am going to have to bless someone with it. So far, I am LOVINGGGGGGG this book! I'm not going to say 'repaired' because its still running funny. It's not doing what it was before, but it just doesnt feel 'right'. It feels really rough & I'm a little nervous about it. But its going for now & I'm thankful to be back in my big SUV. After driving Ricky's little Ford Focus, I forgot how much I enjoyed sitting upright & higher than driving on the ground in tiny surroundings. 139 / 6 miles done. 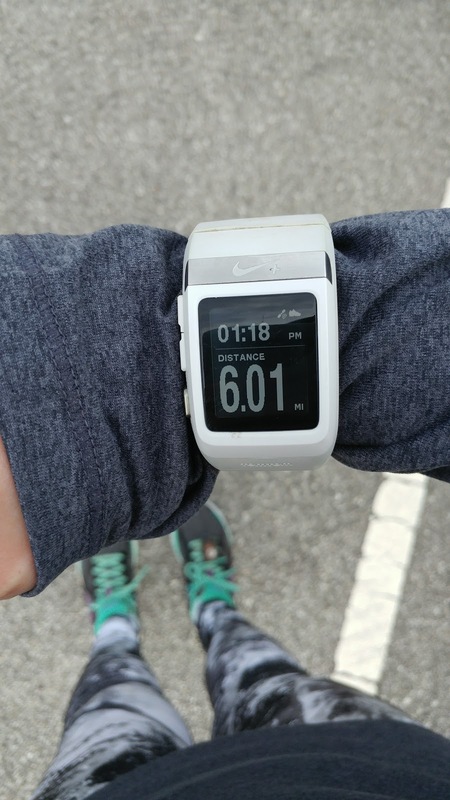 The miles are starting to add up on long runs now. I'm feeling it too.... whew. 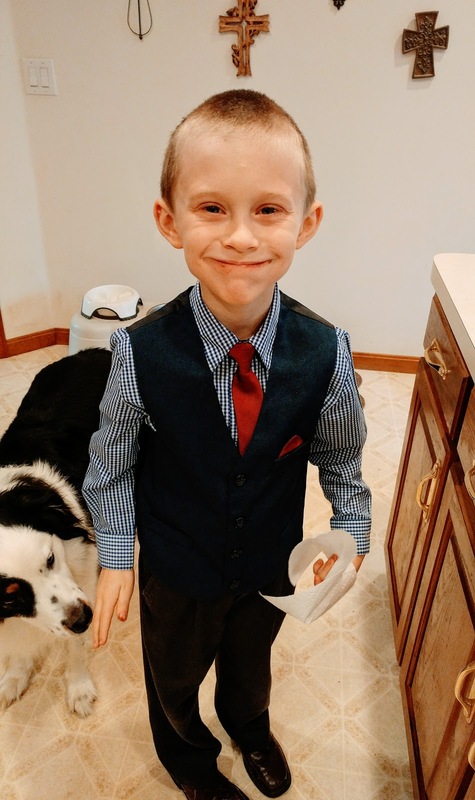 145 / Warm weather for February funeral. You expect cold & miserable temps in February but so thankful that the weather was warm & the sun came out to burn off some fog for a funeral we had to go to for Julie's aunt. 146 / Seeing a precious friend. I met the most amazing lady & her family through Julie & was so grateful to see her at the funeral on Monday. I think we could sit & talk & laugh for hours on end. This is the type of lady that just is everything you want in a friend & support team. Her heart is amazing - full of love for everyone. I was so glad to see her, even if just for a bit, & hug her. 147 / More Etsy sales. I'll always be thankful for my little hobby to keep doing well in sales. 148 / William & Harvey. William was just all about Harvey Dent when he was up. Wherever you saw one, you saw the other. It's funny because it seems like we always had a dog for every grand son that connected with them. Sydney always would herd Isaac... Buffy always wanted Luke to play with her... & Harvey Dent & William are going to be friends for a long time. 149 / New place to run. 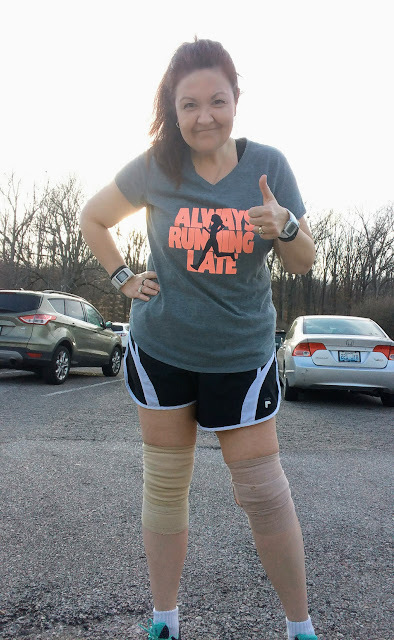 It was so warm this week & I work near a park that I never run in. So I remembered to pack a bag of running gear & headed over to the park after work for a new view to run. I loved being there because it was PACKED... being in an area with other runners & walkers just gives me a boost of energy. Good for the soul. 152/ Driving with the windows down. ... in February. We have broke all sorts of records this week with the temps. I have loved every second of it & soaked in all that I can. 154 / All the new coffee creamers. 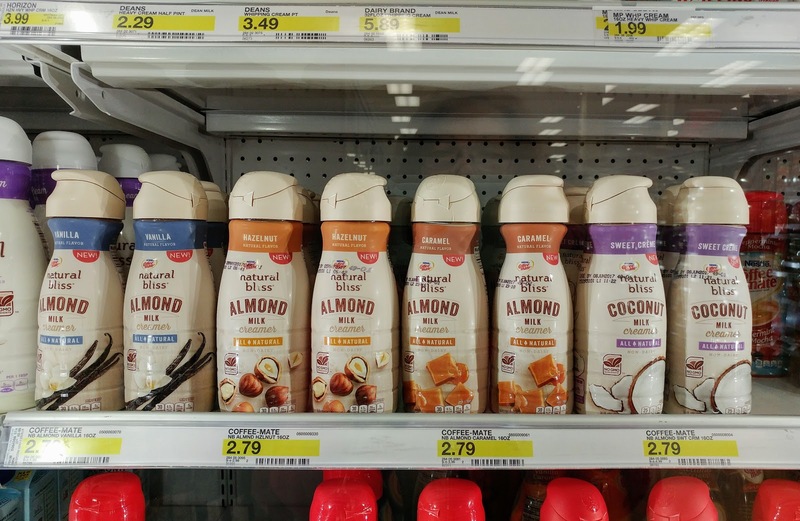 I usually go to Target to get my coffee creamer because its the only place that I can find the big bottles of the Natural Bliss creamer. But what I saw in the case had me literally gasp & my jaw drop & then I truly did a clapping/jumping motion because of my excitement!!!!! More options & flavors & more natural products. Made with Almond milk... & Coconut Milk!!!! & a new Chocolate flavor. I was in my happy spot loading up my cart with 3 of the flavors. I have since tried the chocolate flavor & it's delicious. Adds a good little mocha taste to your cup. Cant wait to try the others. What are some good things happening in your world this week? Hope all goes well with your car. It's so nerve-racking when they don't run just quite right. I can't believe how much your grandson looks like Ricky. We're loving this weather too. So nice to be able to be out this time of year. Have a great day. I just snagged some almond milk with toasted coconut in it and I've been adding that to my coffee. DELICIOUS!! I love that your grandbabies connect with the pups. That's so stinkin' precious! How are your knees doing? 6 miles is such a distance! So jealous of everyone's warm weather. I am craving it. Those coffee creamers look good. I need to get my windshield fixed but haven't had the time or weather to do! I drove with my windows down today, too. Amaaazing. Weird but amazing! Target is my go to for getting my favorite chocolate almond milk - I can't find it anywhere else. And your comment got eaten by email - I never got the email to respond to it but I hope sleep is coming haha, thanks :). Her laugh is contagious. I hope your car is really fixed and you don't have any more issues! I have an average height car, so I love when I get in a car that sits high up. This weather has been quite unseasonable but really awesome. 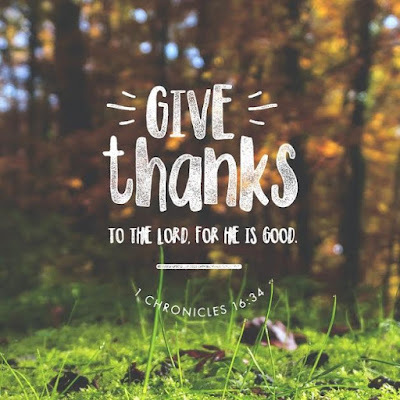 A huge list of grateful things!! I love this!!! And I'm going crazy over those creamers!! Must.find! Daddy to the rescue!!! Tomorrow it is supposed to be 80 here but then we have a freeze warning for Saturday night. Go figure, right??? I hope my Target gets those creamers. You know I am obsessed with the Sweet Cream one and I always buy the big bottle at my Target too. I basically buy them out of it but whatever. February has been mostly warm here. I wonder if March will be very cold! Funny how getting a ride from your dad might sound lame when you're a teenager, but it makes you smile as an adult. Our hound was terrified our our first grandchild...until she started sitting in the highchair and eating finger foods. It didn't take long for both of them to figure out it was a great game for her to throw the food down to him. They were best buds for a long time, though she doesn't pay much attention now. He is getting older and gray and has all these horrible lumpy fatty tumors now, but he's still patient as a saint with the kids. 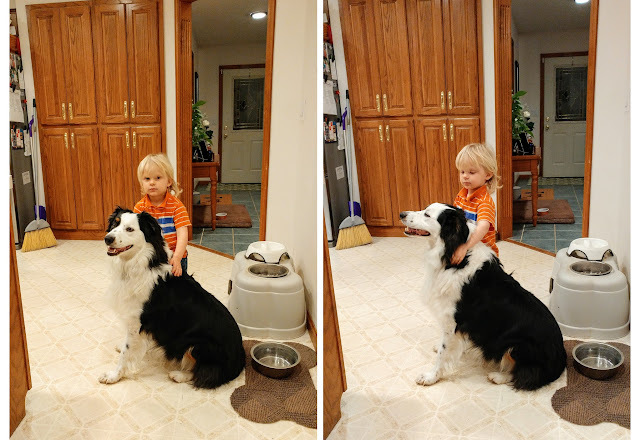 When our oldest grandson began walking he'd often sit or stand on the hound and he'd just lie there and take it. These days we have to remind them to be gentle, but the big guy still gets right in there for hugs and kisses. Dads are the best like that! I've got to try those coffee creamers! Sounds delicious!